With Valentine’s Day right around the corner we all need the same answer. 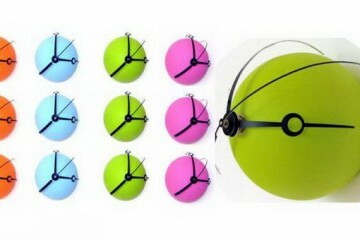 Question is ‘’how can I “economically” express my love this year to her?’’ These romantic gifts would probably help you. 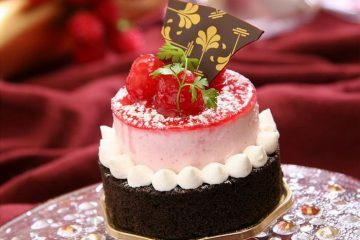 If you are looking for the perfect gift for your Valentine, here are 10 afforable yet creative gift ideas for you. If you want to buy any of these (may be more then one) to express your love, just follow the link below each product. Give one half of this split heart key chain to that special someone and keep the other half for yourself to remind you of your bond. Both heart pieces can be engraved with a monogram (engraving optional). The bright silver finish is nickelplated and will not tarnish. The heart measures 1.75″ x 2″ when together. Packed in black gift box. 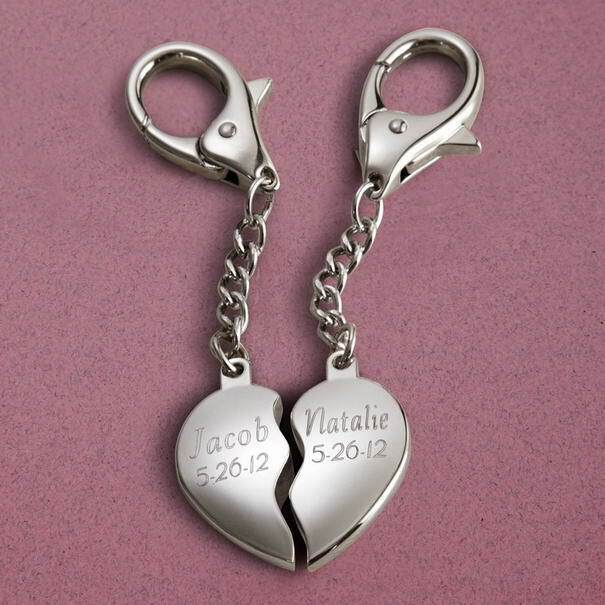 SPLIT HEART KEY CHAIN, NICKEL PLATED. Choose from 8 designs and classic phrases to perfectly match yourselves together!Our fun and creative We Go Together Like…© Personalized Mug Set fits together perfectly, featuring sculpted heart handles to complete the romantic design.His name will be scripted on the larger mug and her name on the smaller mug. 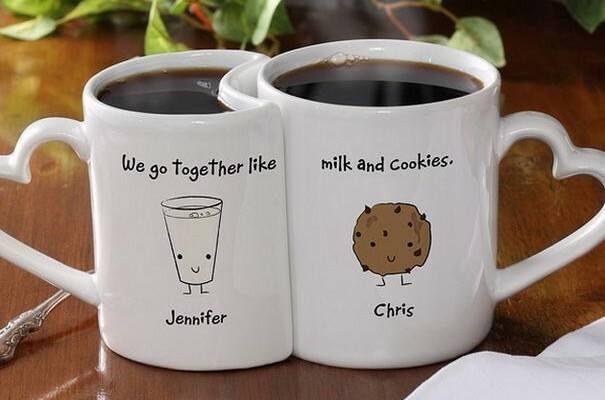 You also pick from 8 fun phrases and matching images to add to the mugs that show exactly how well the couple goes together! Ceramic coffee mug is dishwasher and microwave safe. Large mug holds 10 ozs. and smaller mug holds 9 ozs. 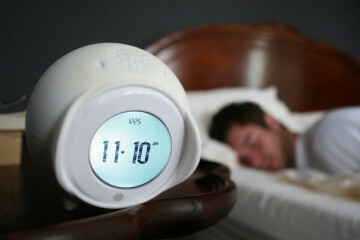 A fun way to start every morning! 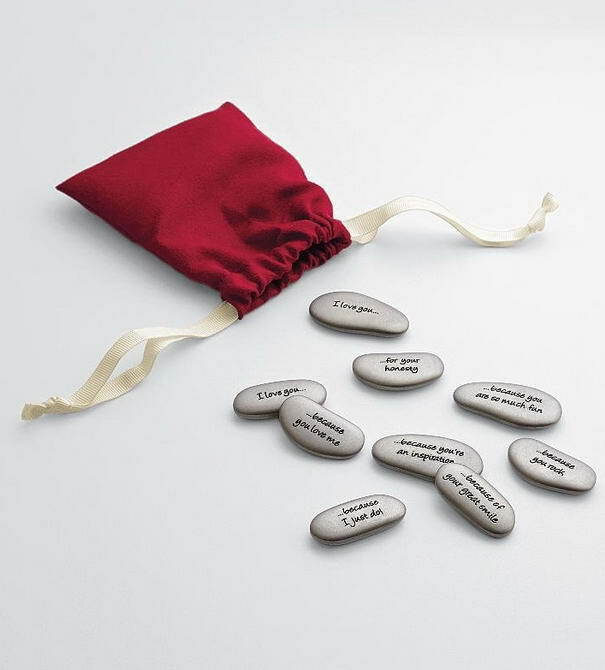 A perfect personalized gift for Anniversaries, Engagements, Sweetest Day and Valentine’s Day. This racy game of Truth or Dare features 100 seductions that will heat up any couple’s love life in the bedroom and beyond. The red-hot box comes with 50 sticks to be pulled one at a time, revealing a truth on one side and a dirty dare on the other. The perfect gift for those looking for some naughty action. Twining satin-silver stems form a stylish base of botanical beauty. 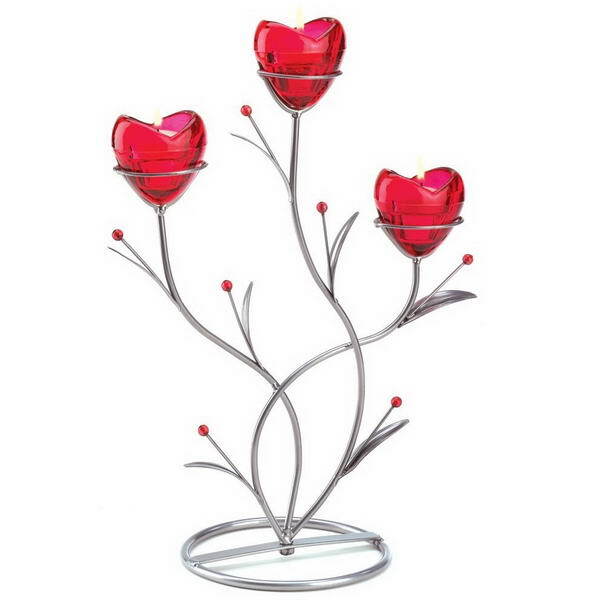 When its ruby glass heart-shaped cups are lit from within, this divine vine-design candleholder is utterly aglow with romance. 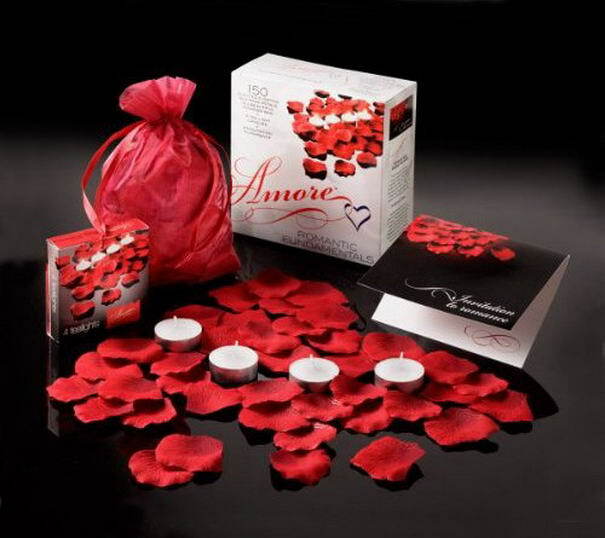 Very romantic on high quality paper board each box holds 150 SILK Rose Petals, scented and floatable, 4 tea lights to set the mood and an invitation to romance. One stop shopping. You may want to add other extras to the end cap, i.e. chocolates; champagne etc The tea lights are of high quality wax, giving a nice glow to the romantic evening. 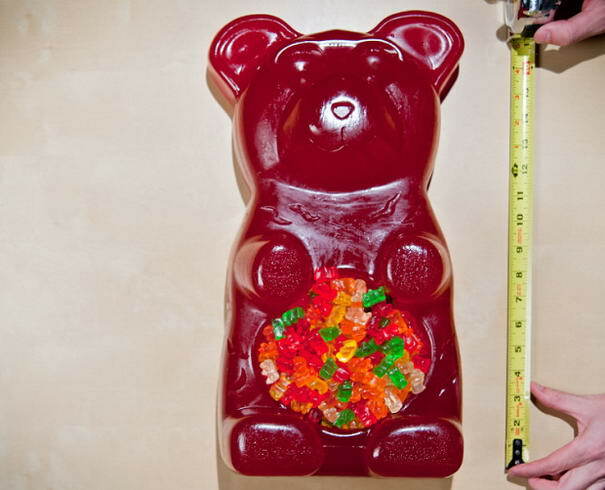 You can use it for showers, parties,anniversaries and of course Valentine’s Day. The possibilities are endless. 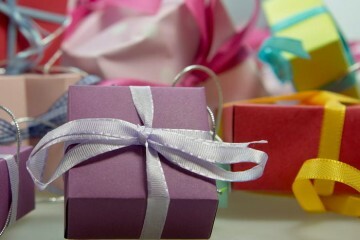 The package needs no wrapping; it is a present and mood setter by itself. 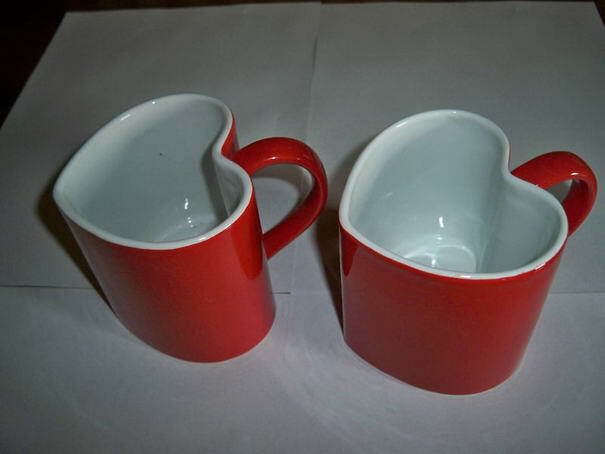 What Loving Couple wouldn’t enjoy sipping on their coffee, tea, or hot chocolate in a pair of these beautiful heart shaped mugs. Beautiful glazed ceramic Red Heart Mug is perfect to show your feelings from morning to night. The twelve ounce capacity mug is dishwasher and microwave safe. Red heart contoured exterior with a white Interior and you will be getting 2 mugs. 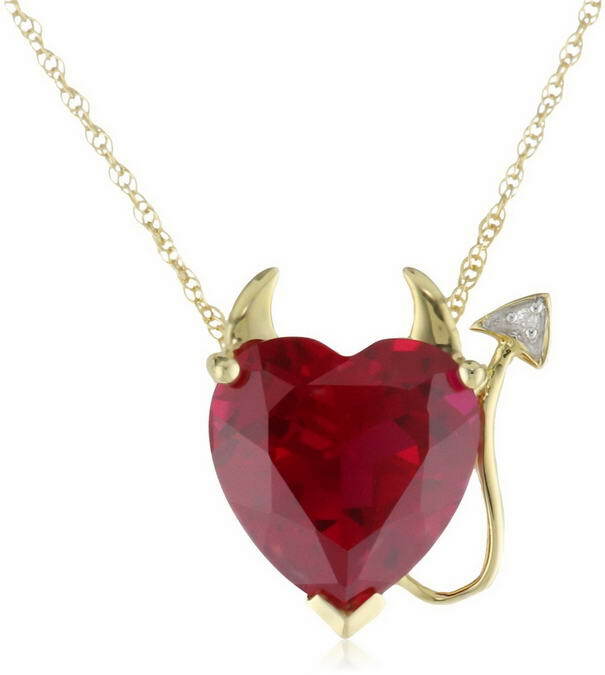 Show off your sassy side with this devil heart pendant, crafted from 14 karat yellow gold. A stunning heart-shaped lab-created ruby serves as the centerpiece. Held in a three-prong setting, it has a faceted cut and a vibrant red hue. Curved devil’s horns and a diamond-tipped devil’s tail add a provocative touch. The pendant is featured on a 14 karat yellow gold rope chain that fastens with a spring ring clasp. The Ultimate Gift Tower is just that… the ultimate gifting experience. Whatever the reason, whatever the season, the Ultimate Gift Tower is the perfect gift! With an abundance of gourmet foods, this six-box tower is impressive enough to send to the office. 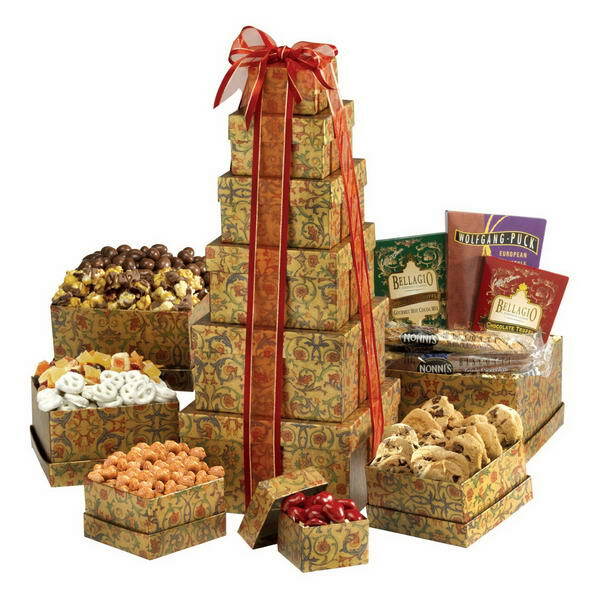 Gift Tower Contains: chocolate covered cherries, butter toffee peanuts, chocolate chip cookies, yogurt pretzels, cranberry mix, caramel popcorn, hot cocoas and coffee alongside a duo of biscotti. I’m surprised that the site Perfect Penguin Pebbles is not in the top ten, honestly it should be. It’s unique, romantic, a true keepsake, and its affordable.